The city of Detroit may not be on top of everyone’s “to see” lists in the United States, in fact many citizens of the States will think you crazy if you confide in them your plans to visit the city. Detroit is certainly going through a tough time, with a high number of abandoned homes and an equally high crime rate. However if it is a lively city with energy that you crave, Detroit is the place to go. The city is on the mend thanks to young entrepreneurs and artists determined to turn the abandoned buildings into cafes, museums and other exciting ventures. Situated in the Detroit River, Belle Isle is a relatively small island measuring about 3 miles in length and only a mile wide, there is however plenty to keep visitors to the island entertained. The parkland on the island is stunning and is a great pace for hikers to enjoy a long walk, the island also has facilities for a number of other sports. After enjoying the terrain and the scenery, why not visit the island aquarium or the Great Lake Museum which features models and other artifacts to explore the history of commercial shipping on the Great Lakes. The Detroit Masonic Temple is visually impressive. It is the largest of its kind in the world and is one of the finest examples of Gothic architecture in the United States. The temple, which is located on Temple Avenue and built from fine Indiana limestone, has three main areas to explore: the ritualistic tower, the so-called Shrine Club and the auditorium. The temple is presently used for hosting concerts and other events. When the Detroit Public Library first opened its doors in 1865 its collection consisted of 5,000 books, all of which were contained in a room within the old Capital High School building. The library has now moved and did so almost a century ago in 1921. Since then it has been the one of the prides of Detroit and a popular tourist attraction. The Library is home to a staggering number of books but the main reason to visit is the building itself, which is as impressive inside at is it imposing outside. Detroit Public Library is rightfully listed on the United States National Register of Historic Places. Fort Wayne can be found in West Jefferson and, dating back to 1840, is rightfully named Historic Fort Wayne. A tour of the site includes exploring the old military barracks, dry moat and tunnel as well as the impressive parade ground and the long stone building which was once the Commanding Officer’s House. Throughout the year a number of events are held at the fort, particularly in the summer months. Detroit has had an eventful history and played an important part in the industrial age in the United States. The perfect place to learn about this history, and other defining events within the city, is the Detroit Historical Museum. The Museum is situated on Woodward Avenue opposite the Detroit Institute of Arts and features accurate models of old Detroit railways and streets as well as different exhibitions from various periods throughout the city’s history. The Henry Ford Museum, although not entirely focused on Ford himself is still very aptly named as it focuses on the technological and industrial inventions and achievements of the United States throughout history. Some of the most notable exhibits within the museum are the very first steam locomotive, built in 1829 by George Stephenson, the car in which John F Kennedy was assassinated and of course the first ever Ford car. Technically part of the Henry Ford museum but deserving of its own mention, the Greenfield Village in Detroit is a unique experience and certainly a must-visit attraction when visiting the city of Detroit. Located near the Henry Ford Museum on Oakwood Boulevard, the museum houses almost 100 historic buildings from the 18th and 19th centuries in an open air museum environment. The buildings within the museum are from various places throughout the United States and have been rebuilt in Greenfield. The Museum of African-American History tells the story of blacks within the city of Detroit and the state of Michigan. The museum has a wide range of exhibits from various periods throughout history. One of the most memorable exhibits is the underground railway that gave slaves a means of escape from Michigan to Canada. Founded in 1903 by Mary CP Stratton and Horace Caulkins, Pewabic Pottery ran successfully for almost 60 years until the death of Stratton in 1961. Today Pewabic Pottery is a great place to learn about the history of ceramics in Detroit and the United States as well as viewing the impressive gallery workshop and maybe even trying your hand at making your own piece. This small museum on West Grand Boulevard packs in a lot of history. Between the years of 1957 and 1972 Motown records were produced here and the studio was home to many a legend including Marvin Gaye who recorded a number of hits here. The museum itself pays homage to the founder of the studio as well as telling the story of the Motown genre and the artists that made it so popular. Although there are many impressive and large skyscrapers lining the river in Detroit, the Renaissance Centre is without a doubt the skyscraper epicenter of the city. At the Renaissance Centre, you can simply stand and marvel at the staggering 7 towers, one of which is the 73 storey Mariott Hotel, or visit one of the many theaters, restaurants or shops which occupy real estate at this iconic location. The Ford’s settled into their Fair Lane home, in Dearborn, in around 1915 and lived together here until their deaths in 1947 and 1950. 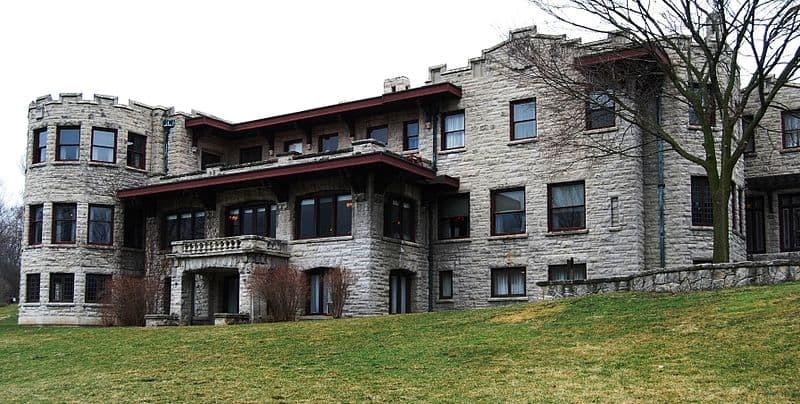 A tour of the estate is a great way to spend a few hours whilst in Detroit and offers a chance to see the man-made lake, pony house, five hundred birdhouses and the impressive hydropower station which allowed the estate to create and use its own power. The property itself is currently undergoing restoration work. A Detroit Tiger that is. The Detroit Tigers baseball team play in Comerica Park but aside from watching a game of baseball, there are plenty of other reasons to visit Comerica Park whilst in Detroit. The park has a museum of baseball history which is a must see for any fans of the sport, there is also a carousel and ferris wheel situated here to entice anybody who is not a fan of baseball. The Detroit Institute of Arts, located on Woodward Boulevard has an extensive and varied collection of art which spans the earliest human cultures to present day works. The permanent collections here explore many different countries and continents including works from Africa, the Americas and Oceania. There are also a number of European masterpieces housed within the Institute including works by Van Gogh and Picasso. Whether you are an art aficionado or not, this museum is highly recommended. Detroit is a paradise for antique lovers. Whether you are a serious dealer or just a part time bargain hunter, Detroit has a number of places to shop for collectibles and memorabilia. The Detroit Antique Mall is widely regarded as the best spot for antique shopping in the city while The Detroit Mercantie Company and Eastern Market are aso very popular. There is something for everyone at each of these locations and the phrase “one man’s junk is another man’s treasure” will never be far from your thoughts. Morley Candy Makers are the people responsible for delicious Sanders Candy and the free factory tour is not only entertaining but obviously great value too. After a short film about how the company got started, guests move on to the 150-foot long Observation Hallway to view the creation of candy such as Pecan Torties and Coconut Custers. There is, of course, plenty of free samples to enjoy before the tour concludes in the obligatory gift shop, which has candy and ice cream souvenirs and plenty more samples. The New Centre Park can be found opposite the Fisher Building in Detroit on the corner of West Grand Boulevard and Second Avenue. Open from around 8am until dusk, the park is a great hangout spot in the summer when free film screenings and live music take place regularly. The park also has a bar and grill, giving guests the opportunity to refuel without leaving the serene park setting. The MBAD African Bead Museum is situated on Grand River Avenue in Detroit and houses a large and intriguing collection of African Artifacts ranging from sculptures and pottery to textiles and beads. The various pieces date back hundreds of years and are from many different fascinating cultures. A guided tour of this museum is highly recommended in order to fully understand and appreciate the art and cultures housed here. Located in Dearborn, about 8 miles from Downtown Detroit, is the Arab American National Museum, which endeavors to tell the story of Arab Americans as well as highlighting their contributions to society during the history of the United States. The museum is the only one of its kind in the country and contains wonderful multi-media exhibits that ensure visitors are fully immersed and enthralled by the Arab-American story. The museum is open Wednesday through to Sunday and closed on Mondays and Tuesdays. 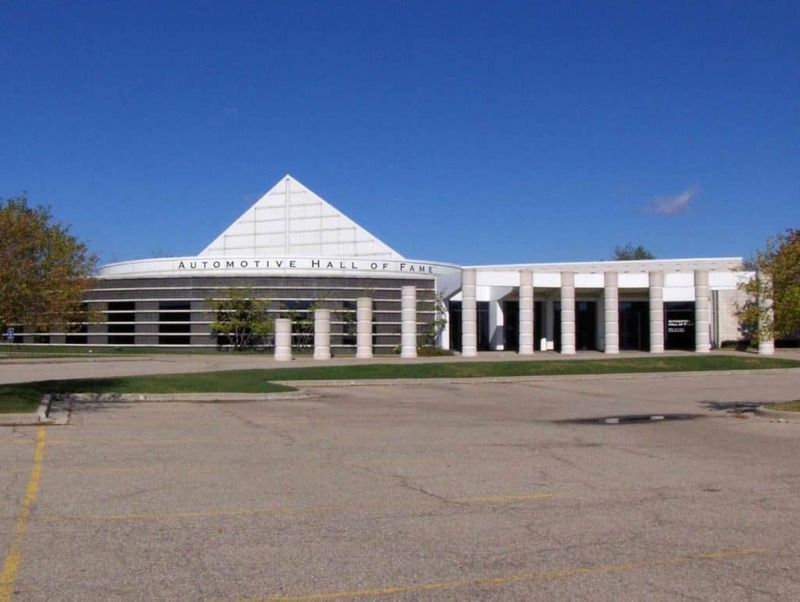 There is no doubt that the city of Detroit has played an important role in the development of the automobile but this is just one of the reasons to visit the Automotive Hall of Fame in Dearborn. The museum tells the story of the development of the motor vehicle through history as well as the pioneers who made it happen. The many exhibits in the Hall of Fame include interactive visual displays as well as artifacts from automotive history. At the time of writing the Belle Isle aquarium is closed due to budget cut however, if the aquarium re-opens, it is a must-see on any visit to Detroit. Located in the heart of Downtown Detroit, the aquarium used to be open all year round and housed an impressive collection including stunning coral reef fish and electric eels. If the aquarium does not re-open, the building itself is well worth a look and makes for a nice photograph. Detroit Zoo in Royal Oak has not been closed down and, as well as being the temporary home for the sea creatures from Belle Isle Aquarium, it is a great day out in the city of Detroit. The 125 acres of city zoo imitates various animal habitats from around the globe and includes enclosures such as the Arctic Ring of Life and Great Apes of Harambee. Take some spare cash along as walking around the vat zoo is hungry work and there are plenty of places to grab a bite to eat. 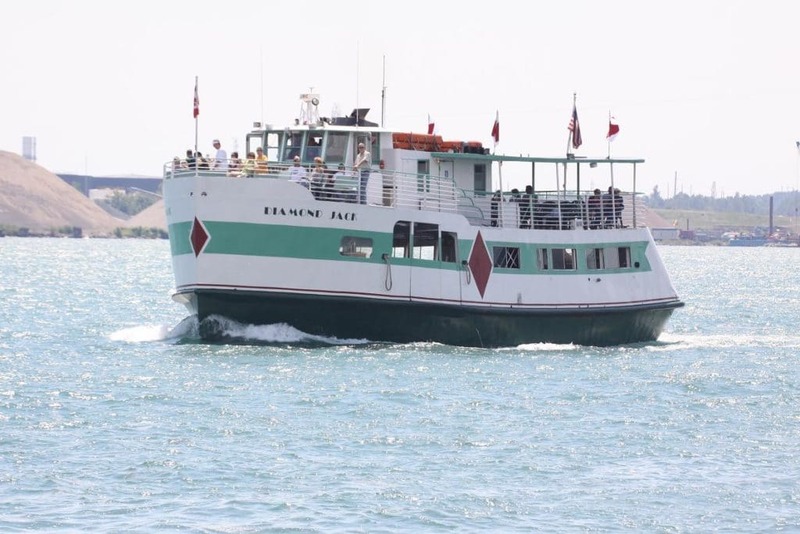 Head to Downtown Detroit for an affordable and entertaining river cruise courtesy of Diamond Jack. The sightseeing tours last around two hours and are narrated by knowledgeable and interesting staff. Large groups can be accommodated and even weddings are possible on the cruise. This is a great way to relax but see many of Detroit’s landmarks and iconic buildings. This iconic Detroit food is an absolute must when visiting the city. Although you have most likely eaten a hot dog previously in your life, Coney Island is the birthplace of this famous food and arguably has the best Dogs going. 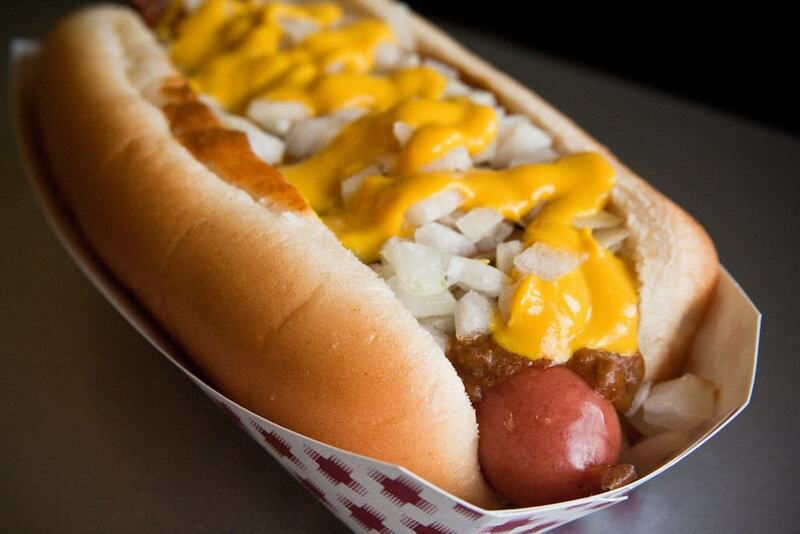 Either Lafayette or American Coney Island are seen as the best places to get a Coney Dog. If authenticity is key however, American Coney Island is known to be the first place in the city to serve the mighty Coney Dog. The food in Detroit keeps getting better and better and on your visit to the city you will not be short of places to eat. However, Greektown deserves a special mention. Due to the high number of Greek immigrants that moved to Detroit in the 20th Century, the amount of quality Greek restaurants is staggering. All of the restaurants offer traditional Greek fare in a lively, authentic atmosphere which could easily be mistaken for Greece itself. Greektown is not just a good place to eat but a great experience and night out. Some of the best Greek restaurants in the city, with great food and Greek charm, are Cyprus Taverna and Parthenon. For an authentic (and tasty) Greek bakery experience try the renowned Astoria.